One day in jail for fatal hit and run in Singapore! On April 17th, notoriously corrupt Singapore Justice Choo Han Teck reduced the sentence of a convicted of a fatal hit and run driver to only 1 day in jail. 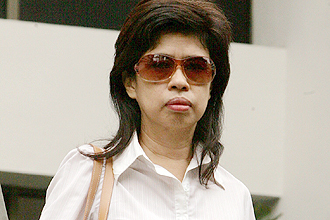 The hit and run driver was Ms. Lim Hong Eng, the Executive Editor of Singapore’s Shin Ming Daily News. In Singapore, newspaper editors are always part of Singapore’s dreaded ISD, or Internal Security Division. This is how Singapore controls the news. Ms Lim had already been sentenced to a jail term of 1 1/2 years by a lower court for driving while using her hand phone, then running a red light and striking a motorcyclist and his passenger. The passenger died, while the motorcyclist suffered serious injuries when he crashed into the windshield of Ms. Lim’s car. In Singapore, when the rules are to be broken for “special” people, the case goes to Justice Choo. When you get Justice Choo, you know the case has been rigged. 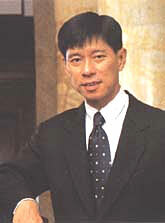 In this instance, corrupt Justice Choo decided to uphold the lower court’s conviction, but to reduce the sentence. Ms. Lim’s lawyer had suggested a “high fine”, instead of jail time. Justice Choo agreed and changed the sentence to 1 day’s jail with two fines totaling S$12,000 (US$8,000). It was then “discovered” by the prosecutor that on the second charge for which a S$10,000 fine had been levied, the law had no provisions for a fine, only for a jail term. The end result is that Ms. Lim was jailed for 1 day and fined S$2,000 (US$1,300) for the fatal hit and run. Ms. Lim was given credit for the time she spent in court as jail time, and served no time. Justice Choo had illegally rigged another case for Singapore. 1 comment to One day in jail for fatal hit and run in Singapore!